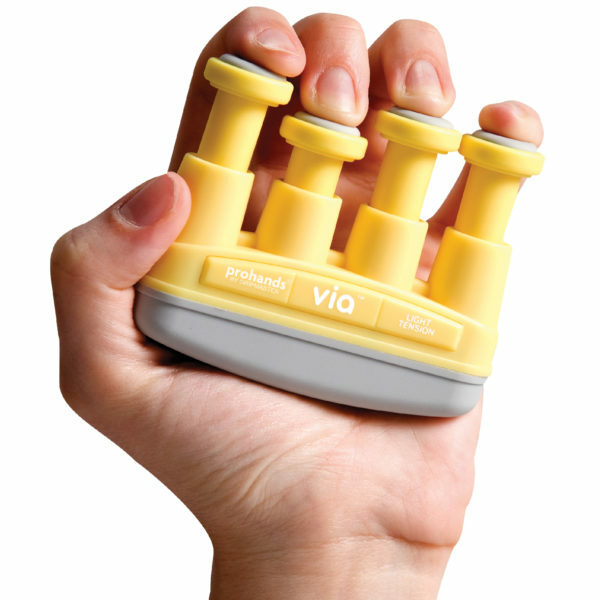 Prohands VIA is the entry level hand exerciser designed with young athletes in mind. Prohands VIA is the entry level hand exerciser designed with young athletes in mind. It has a round, soft look, wider finger pistons for smoother function & improved finger performance, and is available in two tensions.